We’ve detailed our love for Hoppel Poppel before, as it lends itself so beautifully to creativity, innovation, and the use of leftovers. The traditional recipe in diners across Wisconsin includes the use of diced leftover potatoes, with onions, salami, and topped with eggs and cheese. 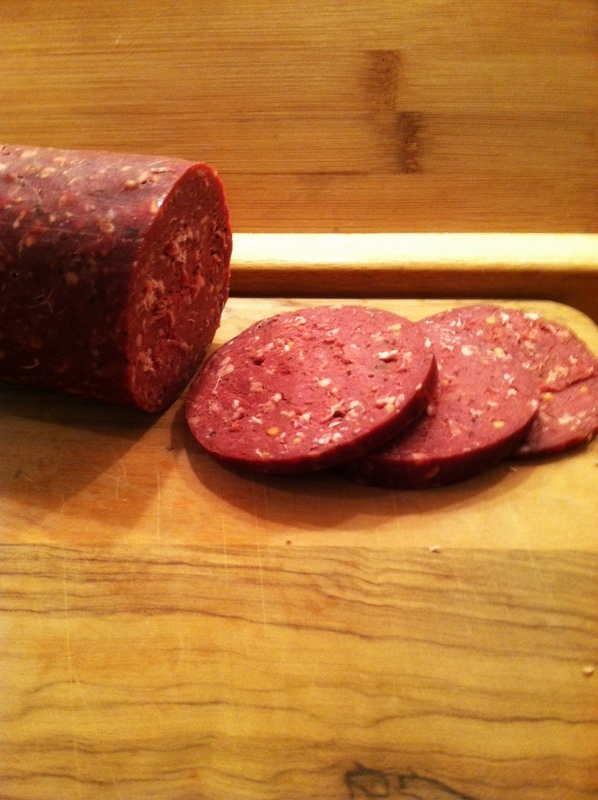 A stop by the Milwaukee Winter Farmers Market offered a unique substitution for the salami: Lakeview Buffalo Farms – Buffalo Summer Sausage. This sausage has the tang and depth of flavor of really high quality raw beef. When added to the skillet, the diced sausage becomes chewy/crispy bites of delicious, adding a layer of flavor to the potatoes as they caramelize. We top them here with a soft egg and melted white cheddar. 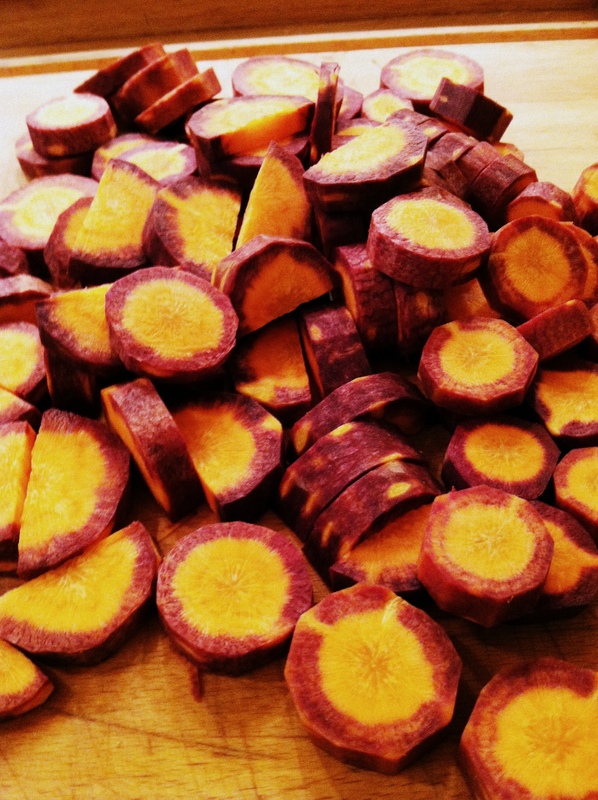 We prepared the same dish on another day with a smaller dice of potatoes and sausage, and also added the Purple Haze carrots from the farmers market. 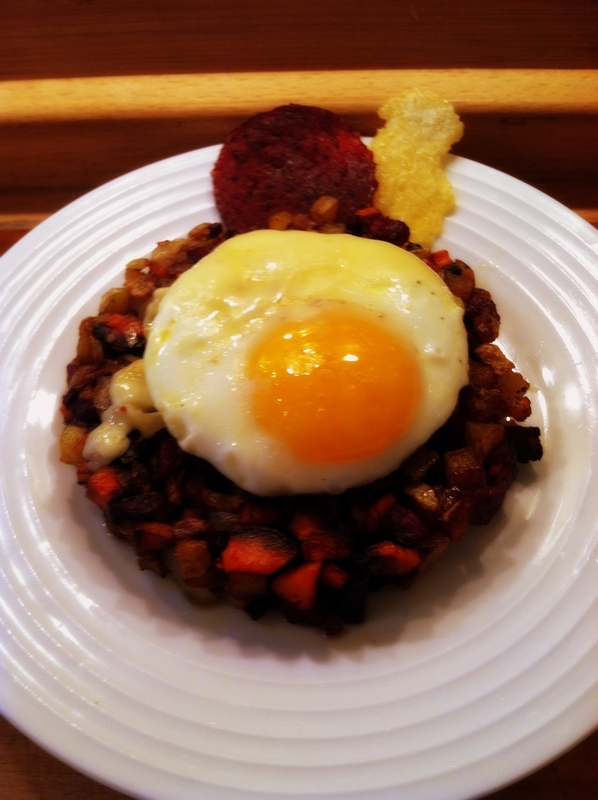 Here the hash was molded in a a small tart pan then topped with the egg and cheese. The sweetness of the carrots were a nice complement to the saltiness of the sausage and cheese. We added a skillet-crisped slice of the buffalo summer sausage and a white cheddar crisp. The dish could be even more successful by molding the hash to the tart pan and creating a depression for the egg. The whole dish could then be baked and topped with the cheese in the final minutes and broiled. 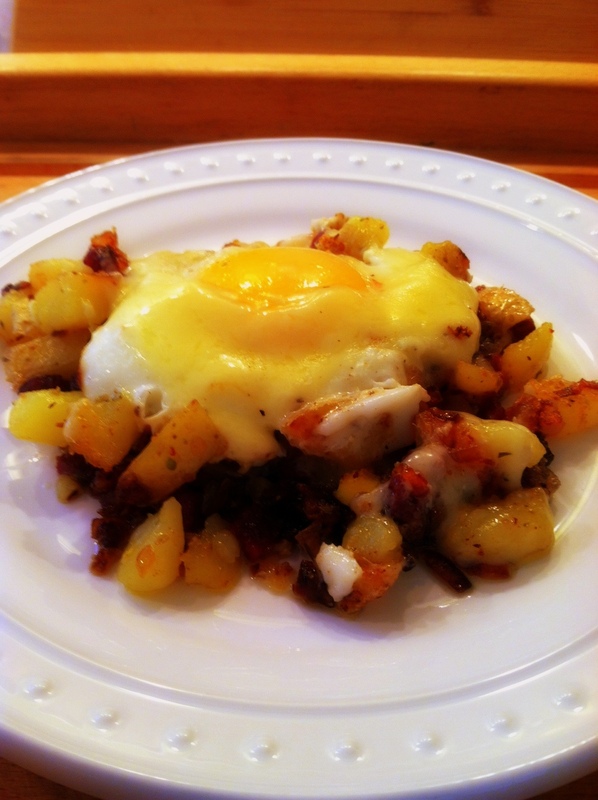 The cheese oozing into the hash adds not only flavor, but a pleasant texture to the whole dish. 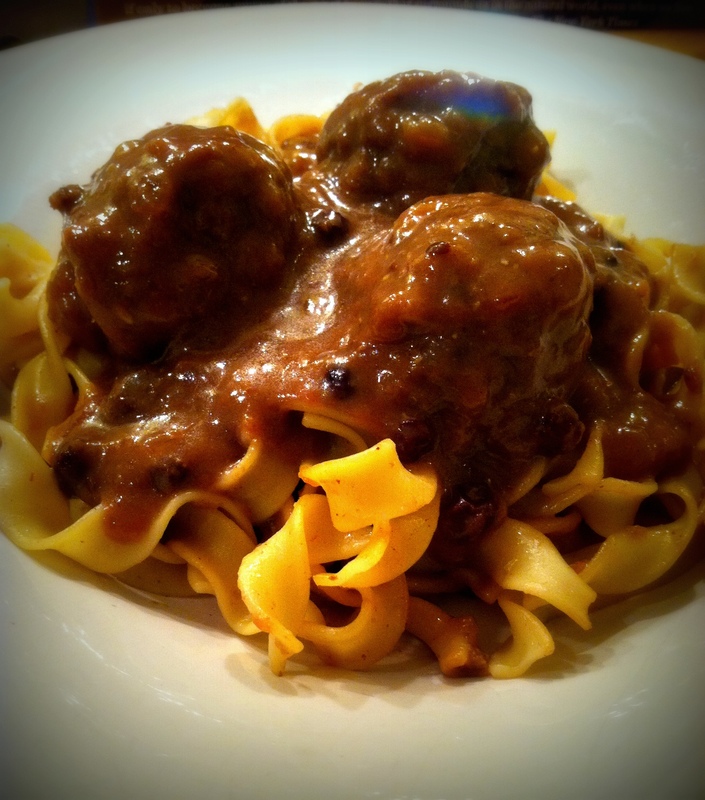 Hoppel Poppel continues to be a favorite dish and a favorite way to play with new ingredients. Now I may quibble with the ice-cold PBR, and plead for an update to an ice-cold Spotted Cow from New Glarus Brewing. But anyone that is serving Willi Lehner’s beautifully cave-aged cheeses along with Bavaria Sausage Kitchen’s delightful offerings has our support. 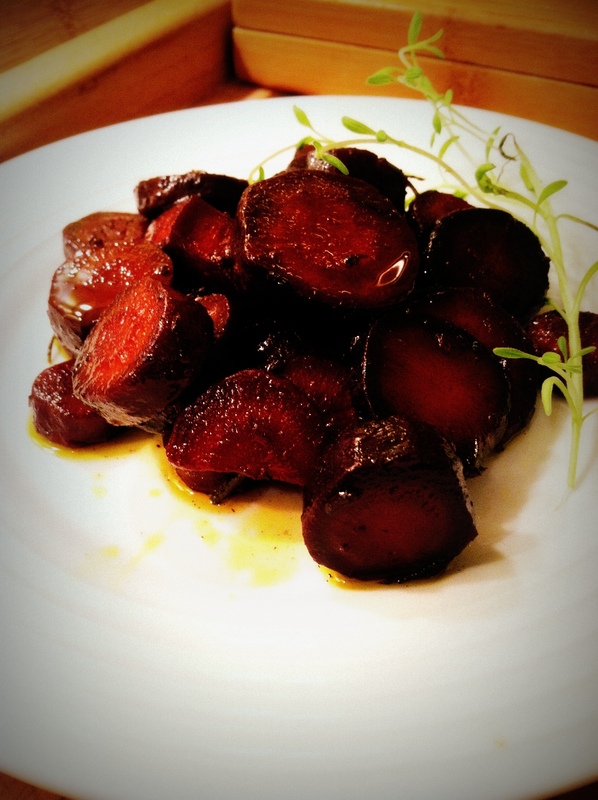 The Old Fashioned faithfully reproduces and updates many of the traditional dishes featured in supper clubs, restaurants, and dinner tables of Wisconsin through-out the years. These food traditions are the touchstone, the taste foundation, from which Great Lakes Cuisine emerges. Let The Old Fashioned inspire you. I enjoyed it over organic cabbage from JenEhr Farm, caramelized and dressed with Onion Fennel Jam and a bit of broth ala Thomas Keller from his Ad Hoc Cook Book. The kids enjoyed it over egg noodles. 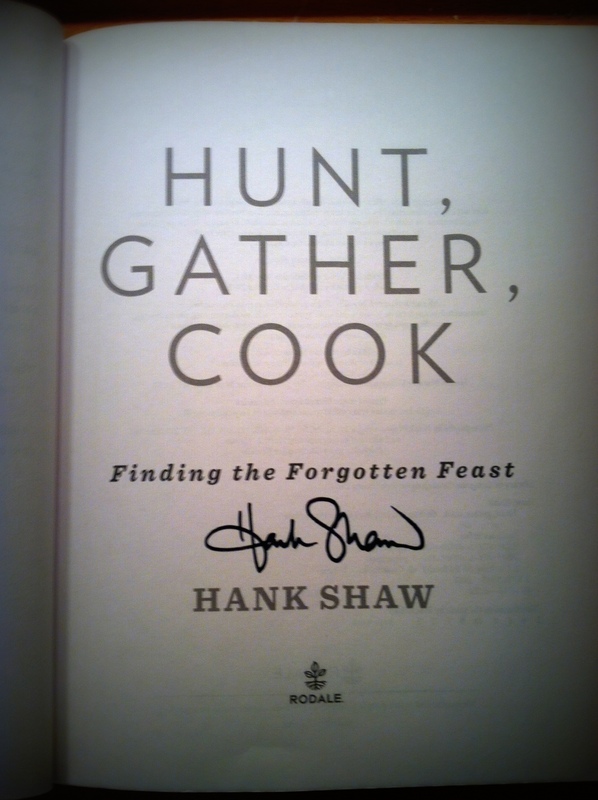 Unique ingredients and a bit of inspiration from Hank. Get his book and enjoy. 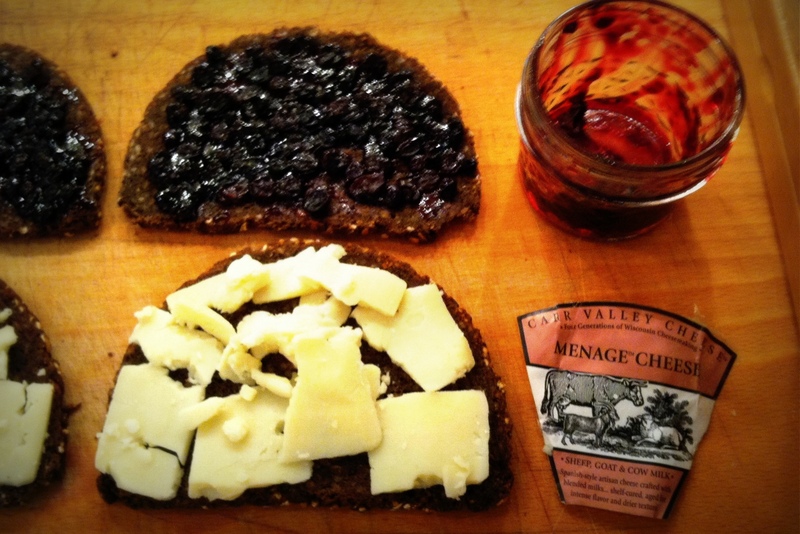 The cheese that started the experiments with Grilled Cheese Sandwiches – Carr Valley’s Menage. If you missed them, here are Grilled Cheese #1 and Grilled Cheese #2. Enjoying the Menage before dinner one evening, the complex, grassy flavors combined with the creamy texture inspired this thought – What would this be like as a grilled cheese? But it’s such a unique cheese, we had to create the right complement to showcase it. Thus, Grilled Cheese Sandwich #3. Here is how Menage is described by the folks at Carr Valley – “This mixed-milk beauty is aged for intense flavor and a drier texture. It’s dipped in a lovely wax as vibrant and green as Wisconsin’s summertime pastures. This cheese won a 1st Place ribbon at the 2009 World Cheese Competition, a Bronze Medal at the 2011 World Cheese Awards, and another 1st Place ribbon at the 2013 Wisconsin State Fair.” It tickles me that they list a 1st place at Wisconsin State Fair, as if it had the same weight as the 1st place at the World Cheese Competition. The sheep milk here really comes through in the flavor, similar to another Carr Valley favorite, Mobay. 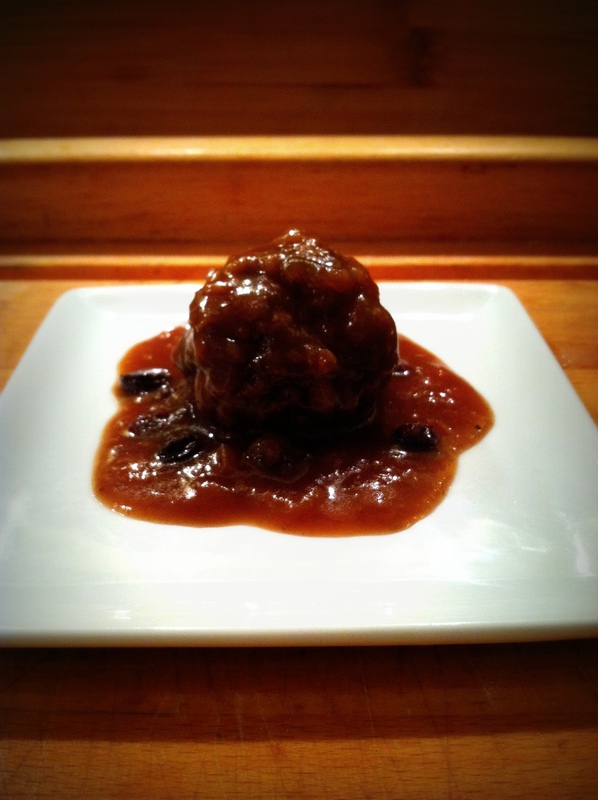 Black currants re-hydrated in a bacon-washed bourbon and blended with a black currant jelly. This is a good thing. I have two small jars additional. I’m happy about that. Rubschlager’s Rye-Ola out of Chicago, IL, is a traditional black rye, meaning the black color comes from rye and molasses. This is not a rye with any wheat flour at all and no colorants to make it look dark. It’s just rye, blackstrap molasses, salt, yeast, malted barley and a preservative. That’s it. It is dark and dry with a naturally roasted flavor. It was the perfect canvas for the artistry of the cheese to shine though. 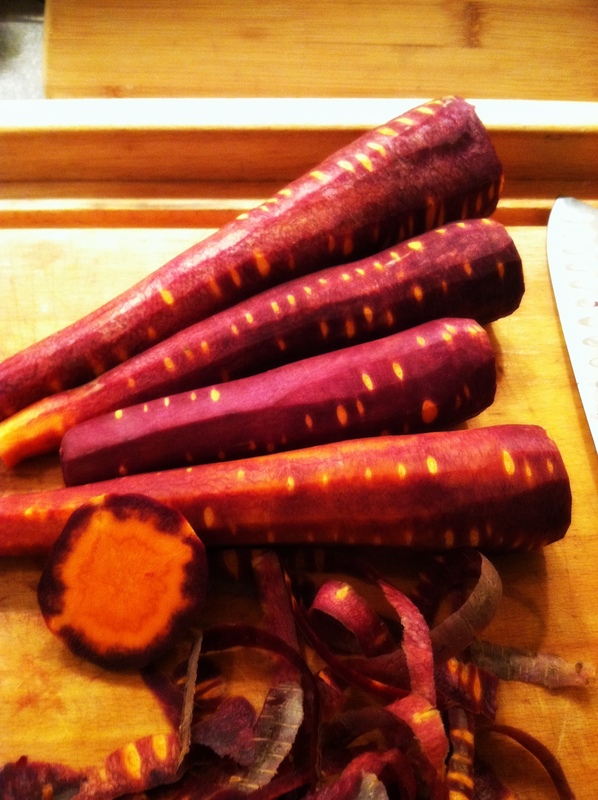 Here’s a simple idea: toast these in a low heat oven until crisp and break into artsy looking shapes and serve as a replacement for $8 artisan crackers. Simple ingredients, forgotten product. Worth rediscovering. I love seeing the malted barley in the bread and sprinkled on the outer crust. 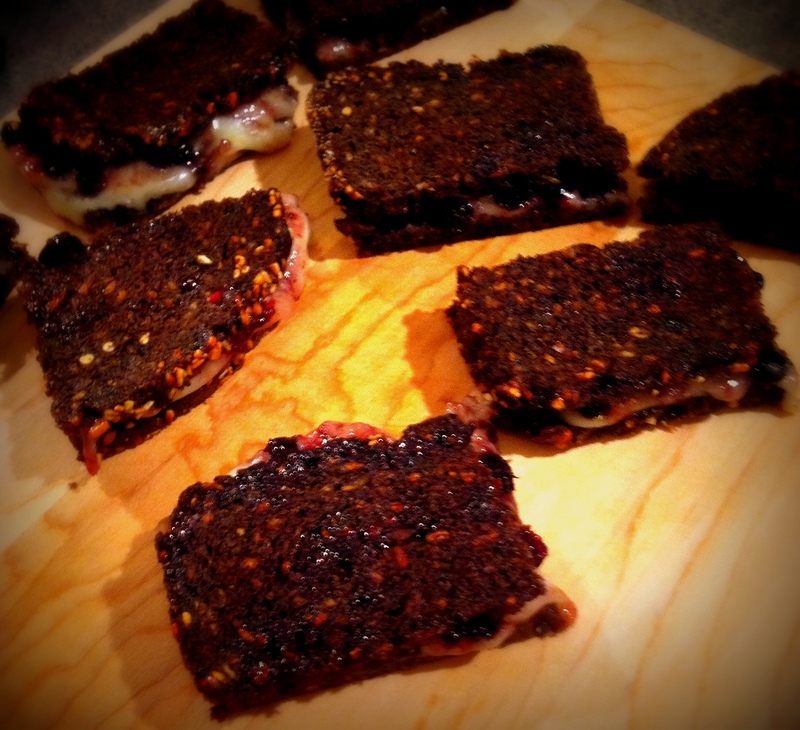 As this sandwich toasted, the black currant jelly melted into one side and began to caramelize. The Menage melted into the other side, all creamy and herbaceous. This was delightful and worthy of more variations on the theme. Enjoy with a big, rich stout like Tyranena’s Down n’ Dirty Chocolate Oatmeal Stout.